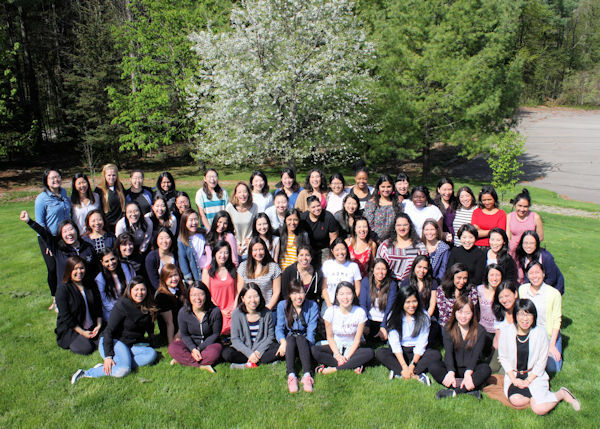 On May 17-20, 60 young women attended the Young Women’s Group Caledon Conference, representing every region of Canada. It was truly a successful conference with 20 participating for the first time. 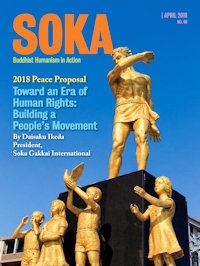 Every day began by the reading of SGI President Daisaku Ikeda’s message to the conference participants, where he encouraged us by saying we are each irreplaceable beacons of hope who are spreading the light of the “greatest of all joys” to our families, local communities and to society. 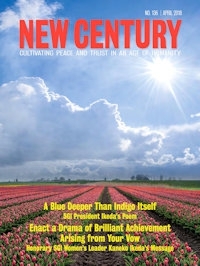 He writes that by spending one’s youth moving forward with the Mystic Law, the SGI, and with fellow members, we can forge “treasures of the heart” in our lives that are boundless and eternally indestructible. This way, there is no giving up and there are no unhappiness. There was a session about this year’s theme “A Year of Brilliant Achievement” presented by the participants from Quebec and Eastern Regions, a study session on the Gosho and the Five Eternal Guidelines for the young women’s group by Prairie Region, a session on The New Human Revolution by Western Region and a session on President Ikeda’s visits to Canada in 1981 and 1993 by Central Region. We were fortunate to also have a session with our national women’s leader, Helen Izumi-Choi and SGI Canada General Director, Tony Meers. Helen sincerely shared her personal stories and experiences with meeting President Ikeda, her struggles when she was in the young women’s group and the importance of never giving up no matter what. We were all so touched by her warmth and embracing heart. Tony led a Q&A session and he answered each question with much compassion and sincerity. His answers imparted full confidence and conviction in those who asked the questions. Throughout the conference, we celebrated and embraced our own uniqueness. We determined to challenge our own weaknesses and shed tears listening to the struggles of our fellow sisters in SGI. We also cheered and jumped in joy hearing our fellow sisters achieve victory and we all danced like Bodhisattvas emerging from the earth during culture night. This conference became a new prime point for many. As participants shared their determinations during the closing ceremony, I wrote down each one of them, so I will be able to chant for their absolute victory! Every single person’s victory matters, because we win together. If I lose, we all lose, so I will continue to do my human revolution and make this year truly “A Year of Brilliant Achievement”! This conference made me realize my mission in Canada as it inspired me so much!